Creative thinking is a concept focused on improving the ability to be creative, that is: generating valuable original ideas. What is creative thinking? It is a new concept, but what does creative thinking mean? The Dragon1 open EA Method defines creative thinking as a concept focused on improving the ability to be creative, that is: generating valuable original ideas. 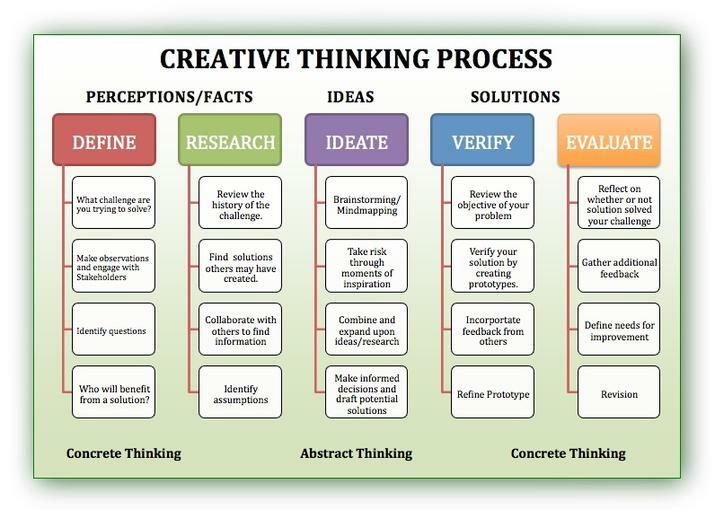 A new concept next to creative thinking is critical thinking. Critical thinking is defined as challenging and improving arguments for assumptions, facts and choices. Often people and organizations are stuck with their ideas. In that situation, creative thinking is a tool or concept to use to get idea generation started up. The diagram here shows simple steps that every organization or person can take to come up with new ideas.